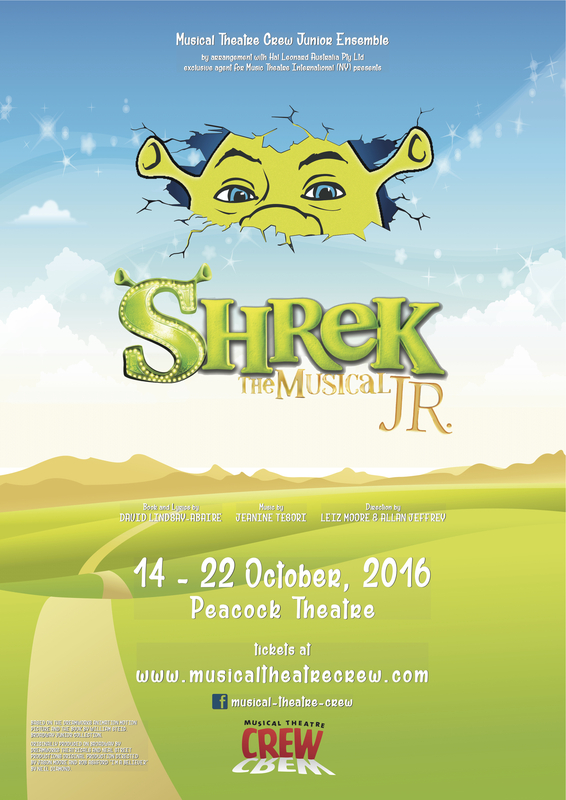 SHREK the Musical jnr: an ogre-sized adventure about the greatest fairy tale never told! This is a fun and funny adventure with a collection of outrageous and entertaining fairy tale characters who band behind the unlikely hero Shrek, a giant green ogre, as they battle against persecution by the selfish, self-infatuated and mean Lord Farquaad. 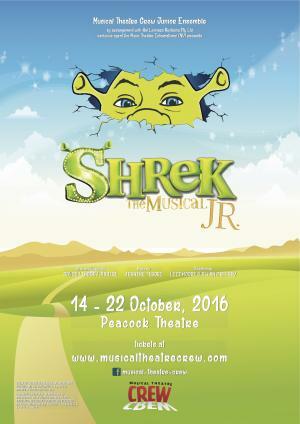 Along the way, there could be romance for Lord Farquaad or Shrek - as both fall for the beautiful Princess Fiona. But how could a beautiful princess ever love an Ogre? This show is G rated and great entertainment for all ages. There are lighting and some smoke effects used. The Junior Members of the Musical Theatre Crew are so excited to be presenting this hoot of a show - kids entertaining kids!